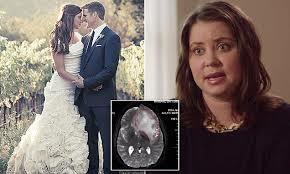 The Vatican has condemned cancer patient Brittany Maynard’s decision to end her life, describing assisted suicide as an “absurdity”. Ms Maynard, a vocal campaigner for the death with dignity movement, had been diagnosed with an aggressive malignant brain tumour on New Year’s Day and given six months to live. The 29-year-old died in Oregon on Saturday after taking a life-ending drug legally prescribed by her doctor. In the weeks up to her death, Ms Maynard had publicly explained she wanted to die peacefully and with dignity – not in the way doctors had told her a brain tumour would bring her life to an end. She went on to become a nationally recognised figure for the group Compassion & Choices, an end-of-life choice advocacy group, and re-ignited the debate on assisted suicide. But the Vatican’s bioethics chief told the ANSA news agency that “dignity is something other than putting an end to one’s own life” and branded assisted suicide “reprehensible”. Monsignor Ignacio Carrasco de Paula, head of the Pontifical Academy for Life, said: “This woman (took her own life) thinking she would die with dignity, but this is the error”. Father Carrasco de Paula cautioned that he was not judging individuals “but the gesture in and of itself should be condemned”. In her final message to the world, Ms Maynard, who had moved from California to Oregon earlier this year to take advantage of the state’s right-to-die law, explained why she had chosen to end her life. She wrote: “Today is the day I have chosen to pass away with dignity in the face of my terminal illness, this terrible brain cancer that has taken so much from me… but would have taken so much more”. Compassion & Choices said she died peacefully as she intended, surrounded by her loved ones. Rev Dr Ignacio Castuera, a board member of Oregon-based group, responded to the Vatican’s comments by saying Ms Maynard was not Catholic and it would be wrong to impose a set of religious beliefs on people who did not share them. as tragic as this is, Brittany had a right to make this decision. she was facing a horrible, painful death with no possibility of recovery, and though it makes me sad to know she’s gone I applaud her for her courage.